The advertising community has been excited for years about interactive advertising--online advertising that can engage the consumer. The theory is that engaging people in your brand is the single best way to built brand equity. 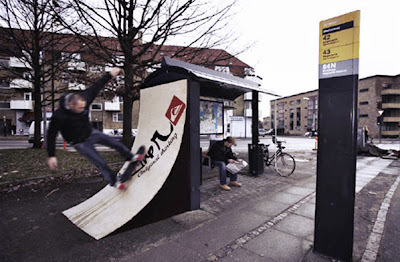 Today I stumbled across some great examples of truly interactive advertising that take place offline--out in the real world. Good fun stuff. 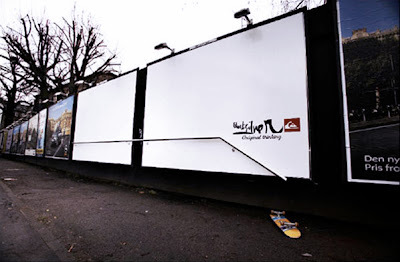 The first campaign is for Quicksilver, a maker of surf and skate wear. This Quicksilver campaign is a good example of really thinking about what your target audience wants , particularly right when they are seeing your ad. In an urban environment, skateboarders are looking for some place to ride and rails they can grind on. 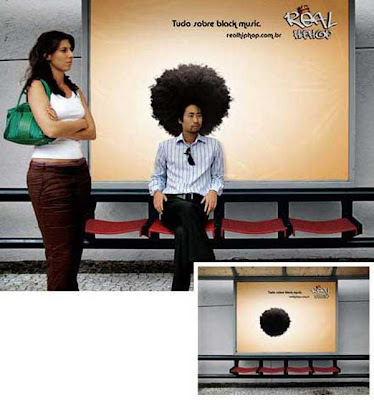 This next example is for an undetermined brand, but it's funny and gets people to spend time with the ad. And it made me laugh, so it's in the post. Enjoy... Credit to Boredstop for the finds.